Making a homemade insecticide with a few natural items from your kitchen is a safe and economical alternative to commercial products. Sunflowers are hardier than most plants and are able to withstand attacks from the majority of garden pests. The most common sunflower invaders are aphids and ants, who create a type of mutual farming community on sunflower branches. Sometimes gardeners will plant sunflowers throughout gardens to purposely lure aphids and ants away from other plants and then douse the pests with an insecticide. Fill a jug or pitcher with one gallon of water. Measure out 2 tbsp. of dishwashing liquid, preferably organic, and 2 tbsp. of baking soda. Mix well with the wooden spoon. Choose an industrial-type plastic spray bottle. Label the plastic spray bottle with a permanent marker to remind you of its contents. Using the funnel, fill the spray bottle with the soap spray. 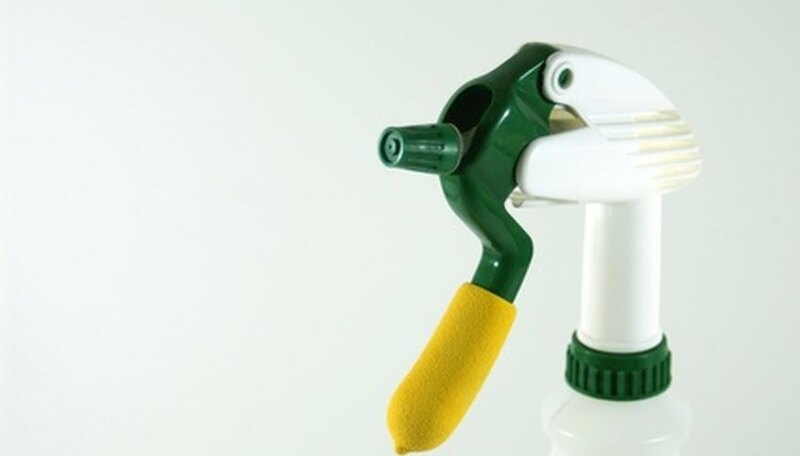 Spray the soapy mixture directly on pests hiding within sunflower branches. Check the undersides of leaves and spray them top and bottom. 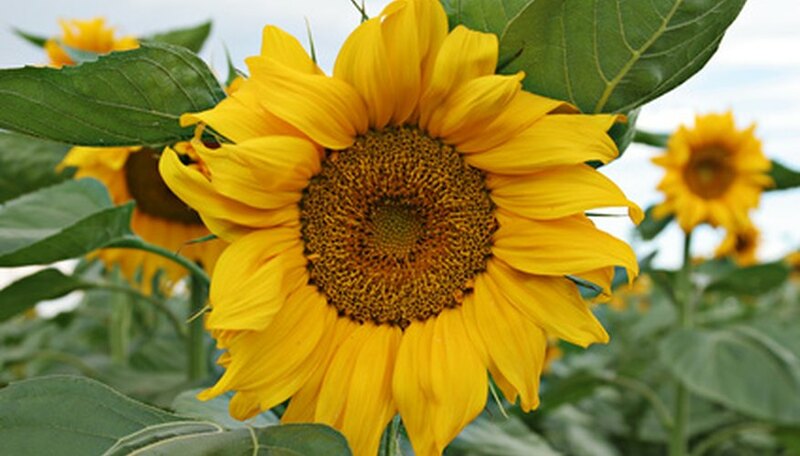 Apply to sunflower plant daily until pests disappear. Fill a liquid measuring cup with 1 cup of vegetable oil. Gradually add 1 cup of dishwashing soap. Mix well with a spoon and set aside. Fill a spray bottle with 1 tbsp. of the vegetable oil and soap mixture. Using the funnel, fill the spray bottle with water. Save the remaining vegetable oil and soap mixture in a jar or plastic container to make more oil spray as needed. Remember to label the spray bottle with a permanent marker to prevent mix-ups. Apply directly on pests and sunflower leaves, shaking the bottle to mix as you go. Apply to sunflowers weekly. Fill a pitcher with 1 quart of water. Measure in 1 cup of vegetable oil. Mix well using the spoon. Finely chop 1 large clove of garlic. Add the chopped garlic to the water and oil mixture. Mix well. Add 3 tbsp. of dishwashing liquid to the garlic mixture. Cover the container, and refrigerate the contents overnight. Strain the garlic pieces out of the liquid mixture the next morning. Using the funnel, fill a labeled plastic spray bottle with the garlic oil spray mixture. Apply directly to pests and sunflower foliage. Use weekly to keep pests away. Use environmentally friendly dishwashing liquid in insecticide recipes to make them safer. Do not spray the sunflower blooms, which will produce edible seeds. Label bottles to prevent mix-ups about contents. Store homemade insescticides away from children, just as you would the commercial types.